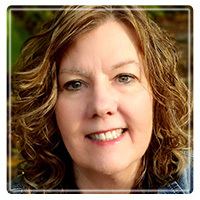 Oregon City Therapist: Patricia Rohani - Therapist 97045. Session Fees: My fees ar 135.00 per 55-60 minute session for individuals and 150.00 per 55-60 minute session for couples. I offer a limited number of reduced fee rates for those in need. Please ask about this availability. Hello, my name is Patricia Rohani, and many of my clients prefer to call me Trish. I have a Master’s degree in Marriage and Family Therapy from George Fox University, and I am both a Licensed Professional Counselor, and a Licensed Marriage and Family Therapist. In addition to my private practice, I work part time as a therapist at a local psychiatric and chemical dependency hospital. I have been married for over 30 years, and have 2 children and 2 grandchildren. The most important thing to look for in a counseling relationship is a connection that feels safe, secure, and where you feel understood. I believe you are worth finding just such a match! I believe that people are relational beings with physical, spiritual, emotional, and social components, and that the exploration and integration of these aspects can be life changing and enhancing. I personally operate from a Christian worldview, and I am willing to integrate this into therapy as clients wish. I believe life is a journey, and at times, we all need someone to come along side us in the difficult stretches. Though we cannot change your past, we can work to change the effects of the past on your todays and tomorrows. Along with providing tools for today, I believe an understanding of our family systems, and our patterns of relating and reacting are important components of therapy and your path toward wholeness and integration. I use my knowledge and training in Emotionally Focused Therapy, psychodynamic, intersubjective, interpersonal neurobiology, and play therapy approaches to walk with you on your journey. Contact me for a free initial phone consultation to discuss your needs, and to learn how I can journey with you along your path to wholeness and healing.